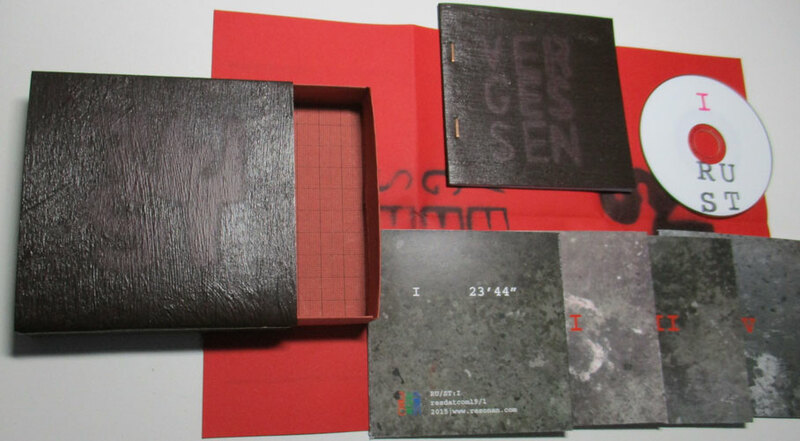 In this box four tracks of RU/ST are bundled, across four three-inch-cdrs. Also contains a booklet with lyrics in Ukrainian and a fold-out poster. The box is wrapped in handpainted carton, stenciled with spraypaint. Same techniques are used for the booklet cover. box: 10,5 x 10,5 x 2 cm; 80 gr. Trades are prefered, but sale is possible.